I have never seen this painting before. It's marvelous. Is that Ceasar at the table in the red? Cleopatra looks stunning. 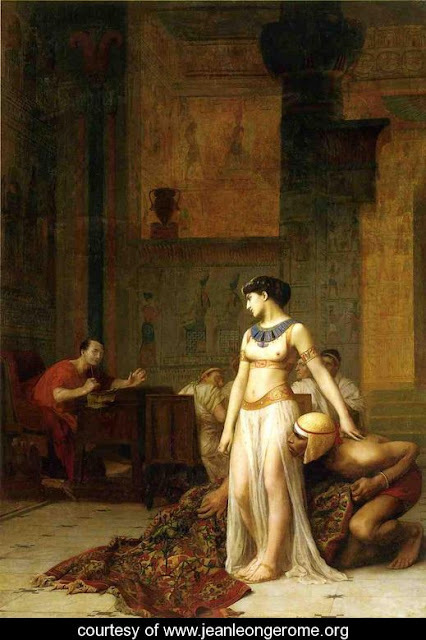 I recently picked up an interesting Cleopatra bit of trivia while reading the other day. According to legend, she wore a magnet or "lodestone" on her headband to slow the aging process. Caesar was a white roman, Cleopatra was actually black. Another attempt to white out our identity.